Almost every family's American tale begins with the journey of an immigrant ancestor traveling to the United States in hope of a better life. What role has immigration policy played in shaping this nation of immigrants, and how might it have affected your ancestors? And importantly, can we learn any valuable lessons from history that will help guide our still very active immigration debate today? This overview of early US immigration shows how America went from a nation with essentially no regulation on immigrants to one of today's enormous complexity. How complicated were things when your family came over? The Naturalization Act of 1790 was the first law to lay out the rules for becoming a citizen of the United States. At the time, the law only allowed "free white persons" to be counted as citizens, excluding American Indians, Asians, free blacks and indentured servants. Aside from this monumental restriction on eligibility for citizenship, the act didn't otherwise regulate immigration in any major way. Subsequent acts replaced this original one in 1795 and 1798, lengthening the amount of time required for an immigrant to be in the US before applying for citizenship. The 1798 act made this duration 14 years! It was repealed in 1802, however. Part of the now infamous Alien and Sedition acts, the Alien Friends act allowed the President to deport any immigrant "dangerous to the peace and safety of the United States" at any time. The Alien Enemies act allowed the President to deport any male immigrant above the age of 14 from a hostile nation during times of war. The Alien Friends act was allowed to expire in just two years. However, the Alien Enemies act had no sunset provision and is actually still in effect today. For the majority of the 19th century, immigration fell mostly to the states to regulate. There were no national quotas, restrictions or other laws that shaped who came into our country. There actually wasn't much immigration before 1830, but then the numbers began to skyrocket. Most immigrants during this time period were from Western Europe, especially the British Isles and Germany. Although these immigrants faced social discrimination during the mid 19th century, there were no laws to limit their immigration. This post-Civil War act extended naturalization rights to "aliens of African nativity and to persons of African descent" - other non-whites were still excluded. This act is widely considered the first ever federal immigration law. It was specifically in response to one of the first waves of non-white, non-black immigration. 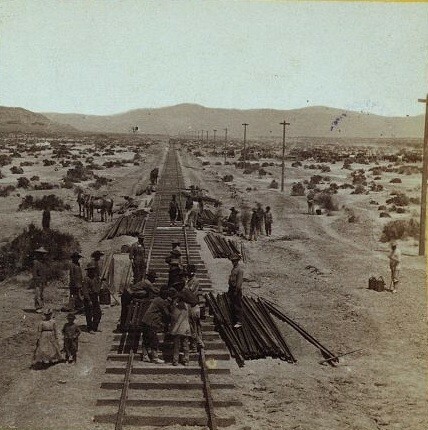 Chinese immigrants began pouring into the west coast during the California Gold Rush. While there were concerns about the effect of these immigrants on the labor market, the main concern was race. The largely male communities of Chinese workers created a booming prostitution industry, which was blamed on their foreign morals, despite the fact that prostitution in the American West at the time was common among natives as well. The law prohibited the entry of any immigrant considered "undesirable" immigrants - in this case anyone who was being brought to America as a forced laborer. In practice, this had little impact on restricting male laborers, but majorly restricted immigration of Chinese women (the women were mainly blamed for the prostitution problem). This law restricted Chinese laborer immigration for 10 years (it was extended and strengthened in 1892) and prevented any naturalization. It also created a deportation system for Chinese immigrants who broke these laws - the first illegal immigrants in American history. This was the first (and not the last) act to wholly restrict immigration of one specific nationality or ethnicity. It was also the first to allow immigrants to be denied who were considered criminals, mentally unstable, diseased or anyone likely of "becoming a public charge." As Asians were being harshly restricted, Europeans continued to flow into America in massive quantities. The Immigration Act of 1891 is the first comprehensive immigration law in American history - it essentially standardized immigration rules and set up a bureau to regulate and operate immigration. Notably, this is when Ellis Island opened in New York City. Although the huge number of immigrants flowing into America did necessitate federal regulation, it's hard to ignore the fact that this increased regulation came as a wave of "new immigrants" - Jews, Russians and Eastern and Southern Europeans - began to arrive in significant numbers. The act established border controls - previous regulation applied primarily to coastal borders. But now immigration at the borders between Canada and Mexico had to be similarly regulated and recorded. This law standardized naturalization the naturalization process, further increasing federal power over immigration. 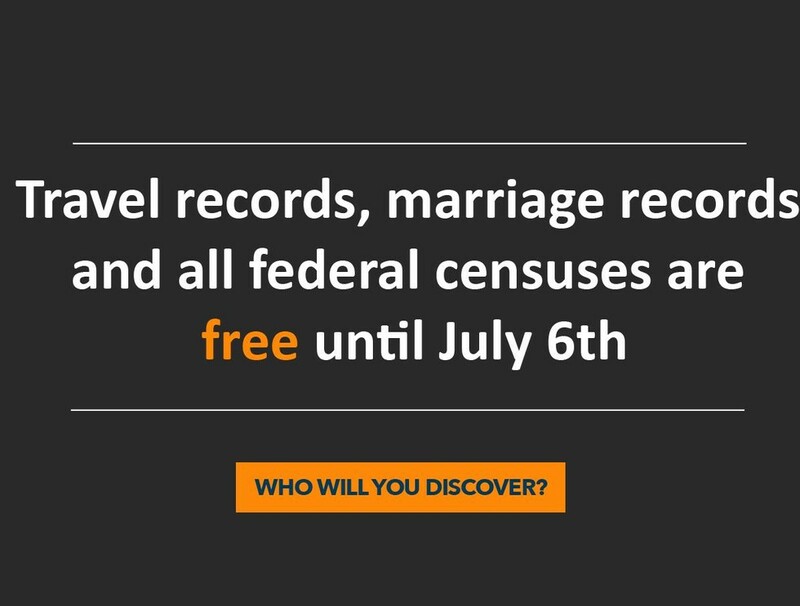 This new act greatly increased the amount of information collected from prospective citizens - some of the best naturalization records for genealogists occur after the passage of this act. The act also required some knowledge of the English language in order to become a citizen. As time marched on, the federal government further regulated and restricted immigration. A system of national-origin quotas was put in place in the 1920's and lasted until 1965, which resulted in an increase in illegal immigration. Nationals who were barred after quotas were filled often immigrated to Mexico or Canada instead and slipped into the US illegally. Restrictions on certain political ideologies were put in place at various times as well - anarchists were banned in 1903 and as the perceived threat of communism grew, it became easier to deport and ban immigrants of that ideology as well. Despite the increasing control over who was allowed to immigrate to America, immigrants continue to flow into our country to this day. As it has throughout American history, the debate as to who gets let in and what effect that will have on American culture and the economy rages.